So, after a decade working almost exclusively with Microsoft for Xbox consoles (and occasionally the PC as well), Lionhead founder Peter Molyneux has called it quits, and will soon be joining British start-up 22 Cans (or 20 Toucans, if you prefer). It's a sad day for Microsoft, who bought Lionhead in 2006, but as we're about to see, probably a very bright day for everyone else. As I've illustrated in a previous Total Recall piece on the man, Peter Molyneux, love him or hate him, is one of the most successful and innovative video game developers alive. In the years before his Lionhead first team up with and was later bought by Microsoft, he was either the creator or driving force behind some of the greatest PC games of all time. Games like Populous. Magic Carpet. Theme Park. Dungeon Keeper. Yet after the release of the controversial Black & White in 2001, his wheels started spinning. From the release of the first Fable in 2004 to, well, now, both Molyneux and his team worked on exactly one new property (The Movies). Every other title Lionhead has released since has been a sequel or spin-off, either to Black & White (in 2005) or to Fable. Only one, The Movies, was not published by Microsoft (it was handled by Activision). The one big thing he worked on during the Microsoft era that never saw the light of day, Project Milo, was exactly the kind of thing we'd expect from Molyneux. Something weird, something you couldn't really put your finger on and say, oh, I've seen that before. Because you hadn't. And that ended up in the bin. I'm not going to say that first working with Microsoft and then being literally owned by the platform holder somehow stifled Molyneux. That they forced him to work on projects against his will, purposefully curbed his design ideas, etc. For all we know he made exactly the games he wanted to make, and his parting seems amicable enough. But the results speak for themselves. A man whose design, and whose studio's works once ranked amongst the most pioneering in gaming, has with only a few exceptions spent the last 8-10 years making the same linear role-playing title over and over again. Gone was the adorable simplicity of managing a Theme Park. Or the novel idea of turning an RPG on its head and having you play the bad guy in control of the dungeon. Or deciding a fairy tale mode of transportation could be turned into a pioneering aerial combat game. Or thinking, hey, why can't we just play God. Leaving both Lionhead and Microsoft behind, then, may have been the smartest move he's made in the past 10 years. Free of the spotlight and pressures of being one of the last in-house "core" developers Microsoft had left, and free of the constraints of having to develop games to run on a specific console, he's hopefully also free to return to doing what he does best: head out into left field and bring us games we never even knew we wanted. I hope this pans out. With the high degree of sequels and developed IPs and ideas, some high-profile originality would be welcome. 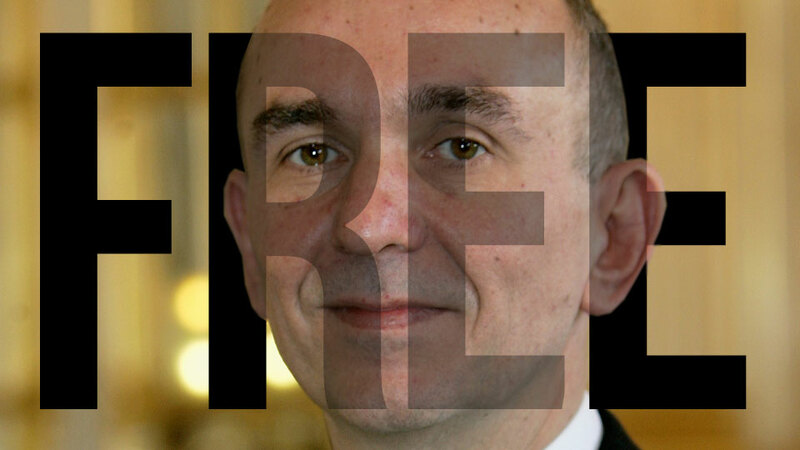 And if anyone can do original, it's the Molyneux. Overhyped or ambitious original, maybe, but original. The problem is, I don't think being with Microsoft stifled his creativity at all. It was the execution that was flawed. I don't see how you can think that will change with him moving studios, unless you think he'll be working on projects within his actual capability as a director. Yeah what stifled his creativity was reality. He talked up all these fantabulous idea's. But when it came down to it they either cost too much to implement or were too hard to implement. Either way that's not a MS issue. Problem with creativity is that someone needs to be able to reign in the expectations of what can actually be achieved. Sure that idea he had might be great but at this time it isn't feasible for reasons A,B and C. So we'll put it in the brain box so we can come back to it when it's an achievable outcome. Like personally the sanctuary in Fable 3, while it's a cool idea to remove menu's that way. It didn't work. It had annoying loading times to get there and was really just a bunch of menu's inside the gameworld anyway. (Such as the clothing room, Created entirely to remove a clothing inventory, but was essentially one anyways. In my experience the sanctuary was sooo much better than navigating the oh so slow menu's of Fable 2... Then again I was playing it on the PC where moving between the rooms had basically zero load times. 22 Cans = 11 women huh? Should've called the studio Massive Cans. FunBags sounds good if Massive Cans was taken. Doesn't necessarily mean women. The physiques of many males in the software development industry, games developmen in particular, leaves the door open for the name to be referring to man cans. I did not realise he created BULLFROG. Fck I loved Magic Carpet and Syndicate. Strangely through, I also could not finish Fable III. I burnt out. Bullfrog release some of the most amazing games in history. Their list of games created is absolutley stunning. Your creatures are falling in battle. Your minions are winning the battle. Your creatures are falling in battle. Your creatures are under attack! Truly a fantastic game, arguably his greatest work, and exactly the kind of thing we can only hope he will be returning to. If this means Fable will be released without some guy stating all the features about choice that it doesn't have, I'll feel relieved. And odd. I hope he makes some more games in the style of Bullfrog. I loved everything they made. I feel sorry for whoever has to work with him now. He should call it quits with video games.